Despite the fact that garage doors play an essential role in our everyday lives, most people take them for granted and risk high repair costs stemmed from a lack of maintenance. Regular maintenance and periodic replacement of certain garage door parts is important to optimize the lifespan of your garage door. It is therefore advisable to hire a reputable garage door company, such as Overhead Garage Door LLC, that can deliver high quality maintenance services without burning a hole in your pocket. If your garage door has been malfunctioning or you need advice about maintaining your garage door, you have come to the right place. To help ensure the seamless performance of your garage door, in this blog post, we list five garage door parts that need periodic replacements. Read on. The springs installed in your garage door control the doors functions. If there is any damage to the springs, it can cause a number of problems, such as the door opening automatically or falling down. Periodically replacing garage door springs, therefore, is advisable to avoid such problems. Hire a residential garage door repair company to inspect and replace garage door springs periodically, and calibrate and maintain them regularly in between replacements. Photo eye units are the sensors in your garage door that sense obstructions in the door’s movement path, thereby helping it determine whether it can close safely and completely. Automatic garage doors are usually equipped with photo eyes and it is important to maintain them regularly in order to avoid potential issues. Just like springs, photo eye units too may need to be replaced after certain time intervals. Most modern garage doors are equipped with hinges that make sure the doors roll-up instead of swing-up while opening. Although high quality hinges come with rust resistant coating that helps ensure a long lifespan; they usually need to be replaced after a certain period due to regular wear and tear. It is advisable to hire a reputable 24 hour garage door repair company, such as Overhead Garage Door LLC, that can help you in replacing the hinges properly. Although automatic garage door openers make opening and closing the door more convenient, as they comprise intricate technology, they are vulnerable to a number of issues that need immediate attention, such as the garage door or opening or closing extremely slowly or stopping midway. To deal with such scenarios, Overhead Garage Door LLC provides 24 hour emergency garage door repair services covering all types of automatic garage door openers. 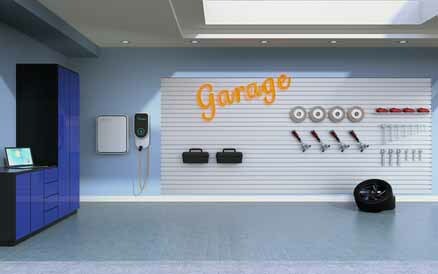 Tracks play an indispensable role in ensuring smooth functioning of garage doors. Even if you invest in the best possible quality available on the market, the tracks tend to bend and get misaligned after a while, due to which the garage door might get jammed. Periodic inspection and replacement of tracks, therefore, is essential to keep issues at bay. When it comes to garage door maintenance, it is important to make sure you choose a reputable name in the garage door industry, such as Overhead Garage Door LLC. Serving both residential and commercial customer in Dallas, Texas and nearby areas, we are a team of seasoned garage door professionals equipped to deliver world-class 24 hour garage door repair and installation services. Whether you are looking for a commercial or residential garage door company, the search ends here. To schedule a service call, fill out our contact form or simply call 800-471-4505. Founded in 2011, Overhead Garage Door, LLC is a rapidly-growing garage door repair and installation company headquartered in Fort Worth, Texas. We serve both commercial and residential markets, and believe in the value of hard work and craftsmanship. We are fully licensed and insured and offer a broad selection of products to suit our customer's needs. As a family-owned and operated business, we put unbeatable customer service above all. This belief has allowed us to routinely expand into new markets and locations as we improve quality control and customer satisfaction. COPYRIGHT 2011 - 2018 OVERHEAD GARAGE DOOR LLC.